What's going on around the Alpine Bobsled? As you can see the paint on the ride is in terrible shape. Last year, the paint on this section of track was peeling off like crazy. This year they did a little bit of patch work on this area of track. I don’t think this is any indication of the future. 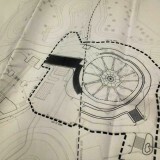 The park couldn’t have left that section of track the way it was, even if they had plans to remove the ride. Alright, now let’s get to the more important stuff, markers! 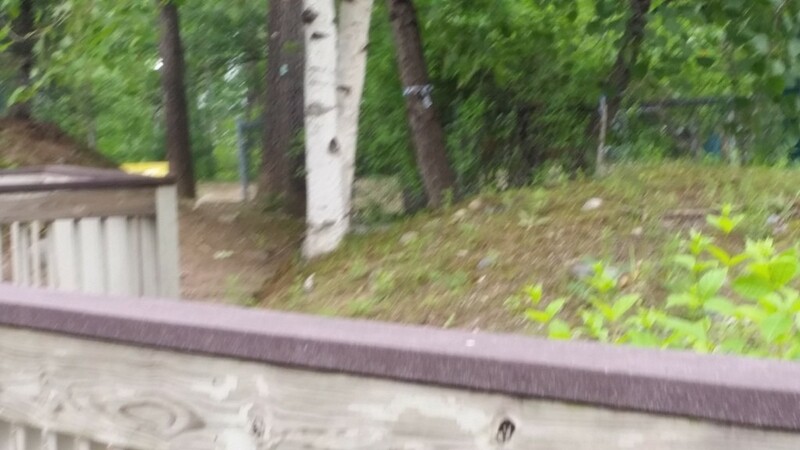 Look closely on the birch trees for the blue and white markers. 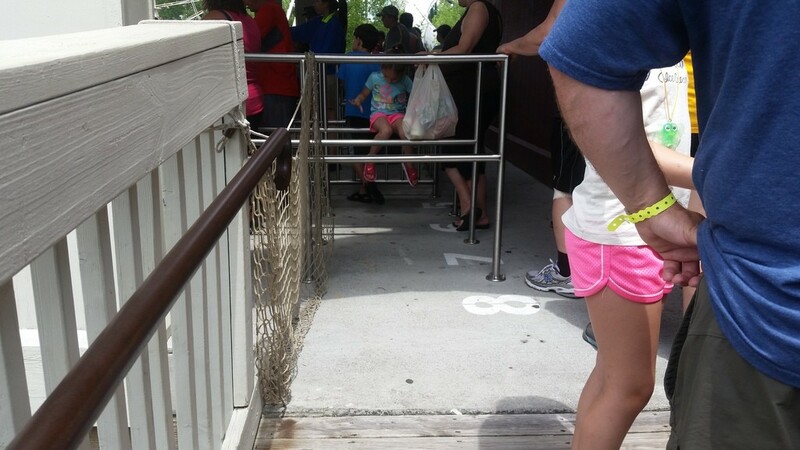 These markers are on the right side of the queue near the go-karts track. 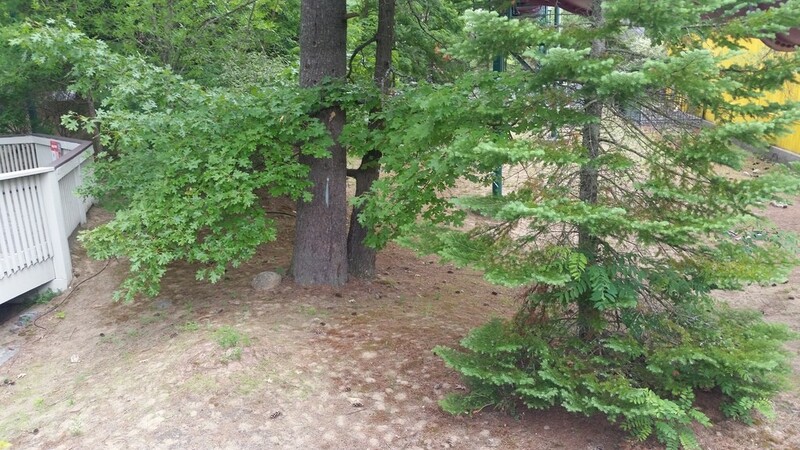 The larger trees seemed to all have a green marker and a small tag with a number on it. The Alpine Bobsled is a Bobsled style coaster in which the cars don’t travel directly on a track. Instead, they travel within a trough. 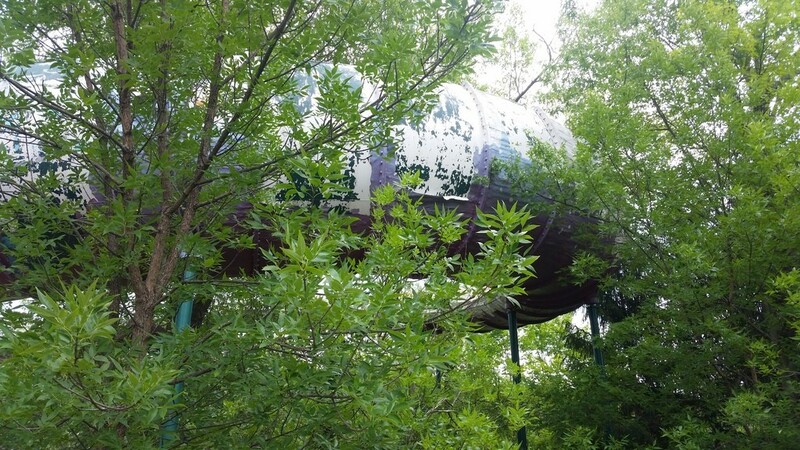 This ride had a long history prior to landing at the Great Escape. 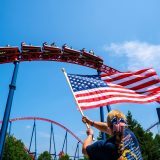 It all started at Six Flags Great Adventure in 1984 when the ride opened as Sarajevo Bobsled. It didn’t last very long at Great Adventure. 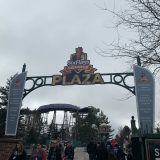 It was dismantled and sent to Six Flags Great America for the 1989 season. The Bobsled operated as Rolling Thunder up until 1995. 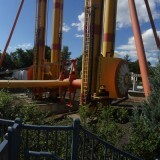 The ride was dismantled to make room for the Southwest area of the park. 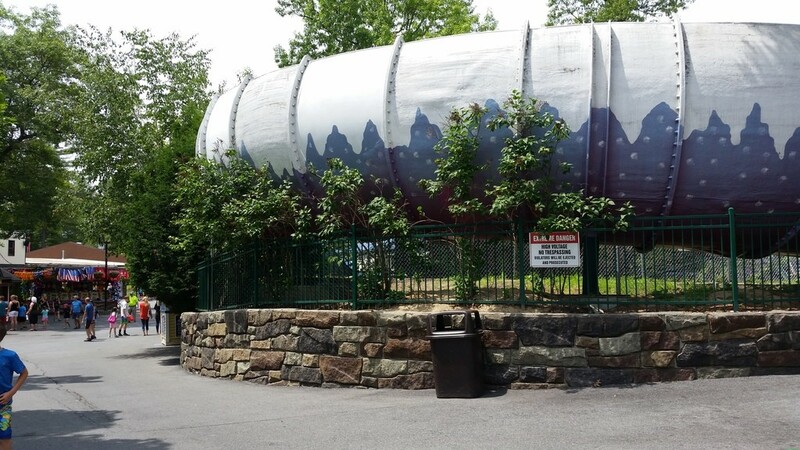 The Bobsleds sat in the back parking lot at Six Flags Great America for two seasons before being sent off to The Great Escape. The ride opened as The Alpine Bobsled for the 1998 season. Bobsled is in it’s 18th season in operation at The Great Escape. The ride is clearly showing it’s age. As you saw in the above pictures the paint situation is just a mess. 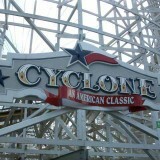 If the ride lives to see another season, it will have to be completely sand blasted and re-painted. 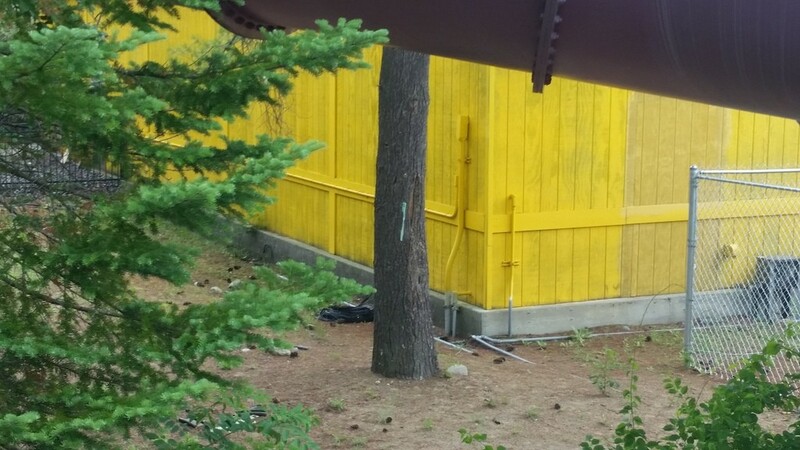 The park can’t just paint over the ride as the current paint is falling off in large sections. In addition to this, the ride is suffering a massive loss in capacity. Within the last few years the park roped off the back row of the ride without ever stating an official reason. To add to the capacity problems The ride can’t operate after 6:00 PM due to the noise. 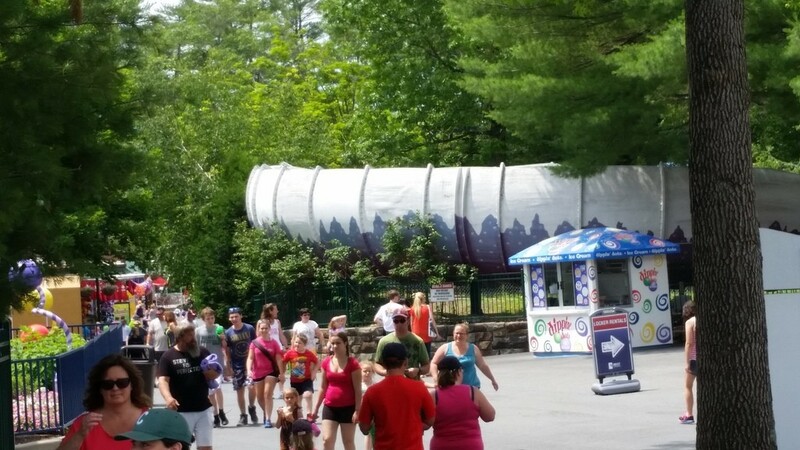 For those who don’t know Bobsled’s design produces a lot of noise and can be heard throughout the park. In addition to this, the ride can’t operate in any kind of rain. When a good storm comes through, the ride is often closed for a few days after the fact to let the trough dry. 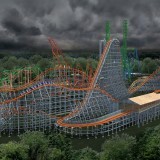 So think about this, the ride is running at 3/4 capacity right off the bat. Most of the time the ride isn’t even running all four trains. That’s not even taking design problems into account. When it’s all said and done, Bobsled is closed far more than it is open. 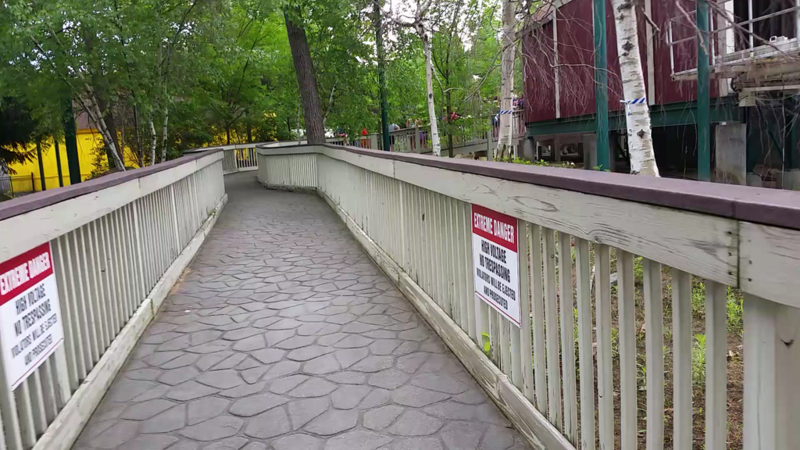 I frequent the park, (4 times last year) and Bobsled wasn’t open for any of my trips. In a park that only has Comet as a high capacity, low maintenance ride, this is simply not a good situation. I think this is the most likely scenario due to all the factors pointing in this direction. Bobsled takes up a good chunk of space in the park and could be used for a decent sized new coaster. Remember that Bobsled sits adjacent to the Go-karts. 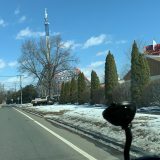 It could be possible that the Go-karts are also removed to accommodate a new addition. Go-karts are gas powered and therefore require a decent amount of money for operation. Also remember that last year the park’s Pirate Ship was removed without reason. Pirate ship use to sit on the other side of the go-karts. It certainly could be a possibility that the new addition could take up the entire space. The Great Escape hasn’t received a coaster of any kind since 2003. 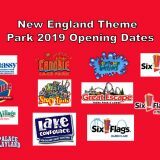 Yeah, that’s right, every other park has received at least a relocated coaster within the last 5 years. This only proves the reason for the markers. I could see the trees being removed. The bigger trees overhang parts of the trough causing leaves inside the trough which could become a safety issue. The inside of the trough often looks dirty mostly because of the trees. This theory doesn’t account for the blue and white markers, as the trees either aren’t tall enough or aren’t even close to the track. Whatever is happening at The Great Escape it is going to make for a interesting summer. Be sure to stay tuned as we will post updates as frequently as we can.